I am using this card as the Mother's Day card for classes this week. this sentiment of add another. the rest in Berry Burst. Florals DSP in Powder Pink. I ran a sweet berry Burst metallic trim ribbon around and added the bow. Placed it all on a thick Whisper White base to finish it off. 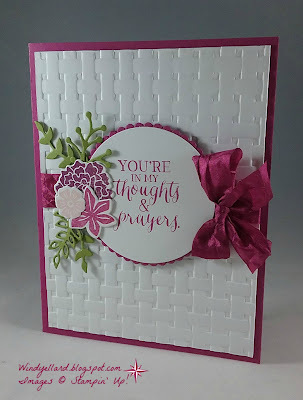 The sentiment stamped in Berry Burst ink is from the retiring Rose Wonder set. 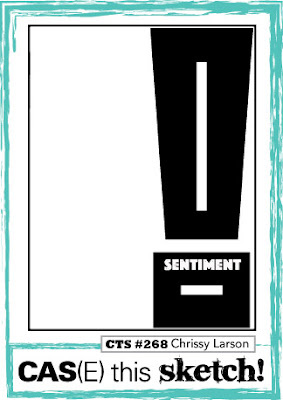 I sure have loved the sentiments in that set! I have some happy Mother's Day sentiment they can add inside. Love this new bundle called Lilypad Lake! I am using it as the fourth card for classes this week. 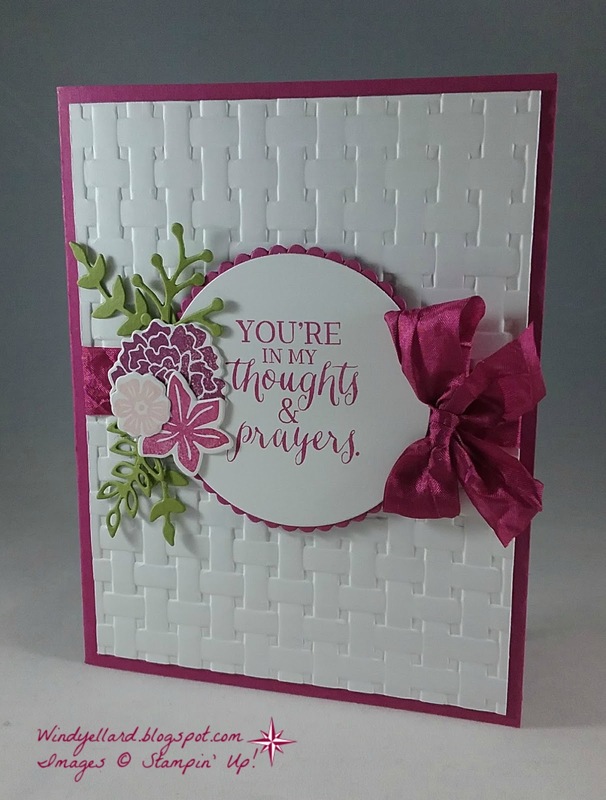 matching dies called Lakeside framelits dies. Love how the darker blue shows through! I cut out some grass in Wild Wasabi to place on the scene. 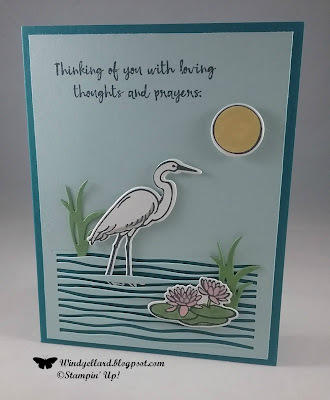 I stamped the crane, lilypads sun and the sentiment in Memento Tuxedo Black. lilypads in Wasabi and Pink Pirouette plus the sun in So Saffron. I like the clean and simple scene. My third card for classes next week. It was also my first time playing with this set and dies. 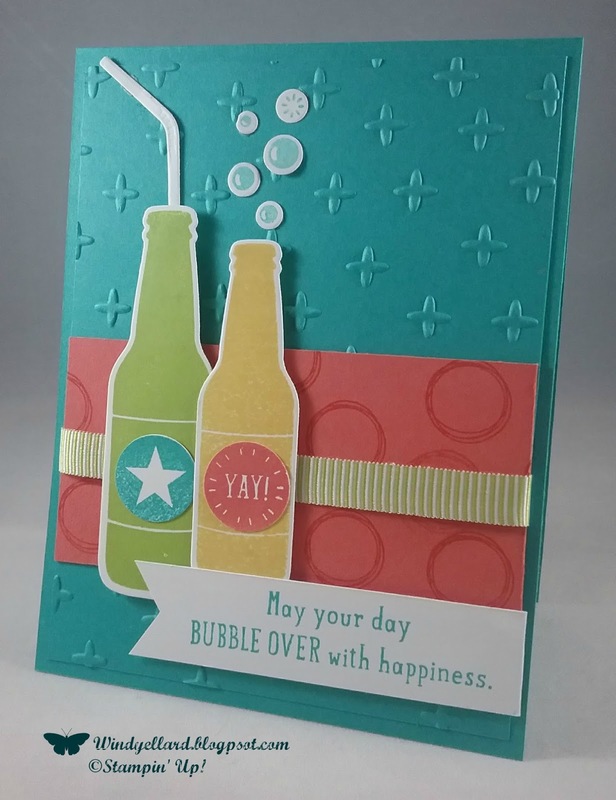 Big Shot with a Sparkle embossing folder. 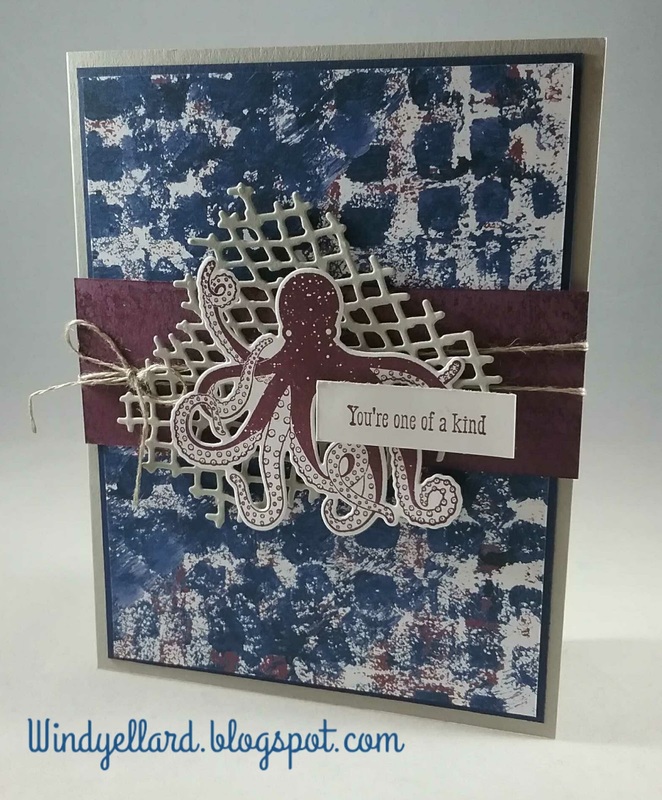 I then stamped on a strip of Calypso Coral in the same color ink. Lemon Lime Twist striped ribbon around. I stamped the bottles in both Lemon Lime and Daffodil Delight inks. stamped off once in Bay and a white straw. Love the bend in it! The bubbles were not easy to grab with the glue dots to adhere but worth it! 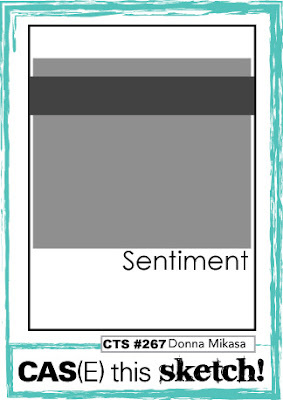 I finished it off with the sentiment stamped in Bay on a white banner. one on top and one on bottom. trim around. I layered those on a thick Very Vanilla base. 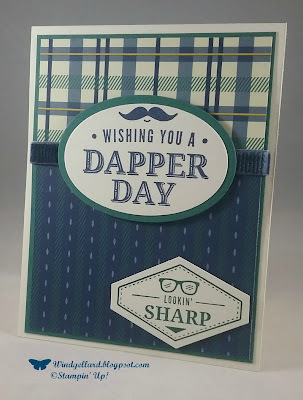 I stamped the Dapper sentiment on Very Vanilla in Night of Navy ink. 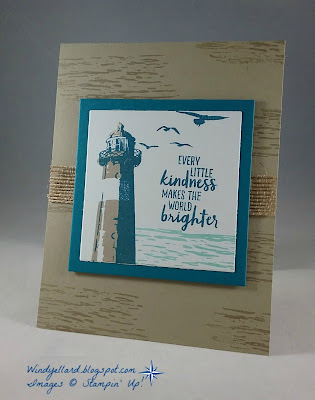 I cut it out with the Layering Oval die and layered a Tranquil Tide one behind. because I wanted to use the cool punch called Tailored Tag. Fun card we can use for Father's Day or a masculine birthday! 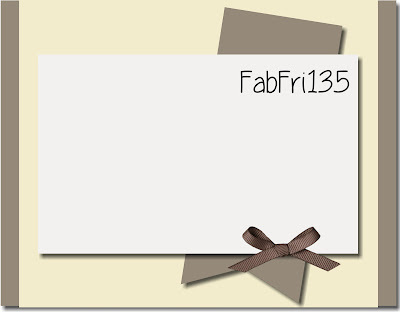 have detailed dies to make windows and backgrounds. It also has some vellum printed with images like stained glass to color. with the new 2018-19 annual catalog. Notice I used a new in color here- Grapefruit Grove. I really like it with Fresh Fig! and a sneak peak of new product for my class. 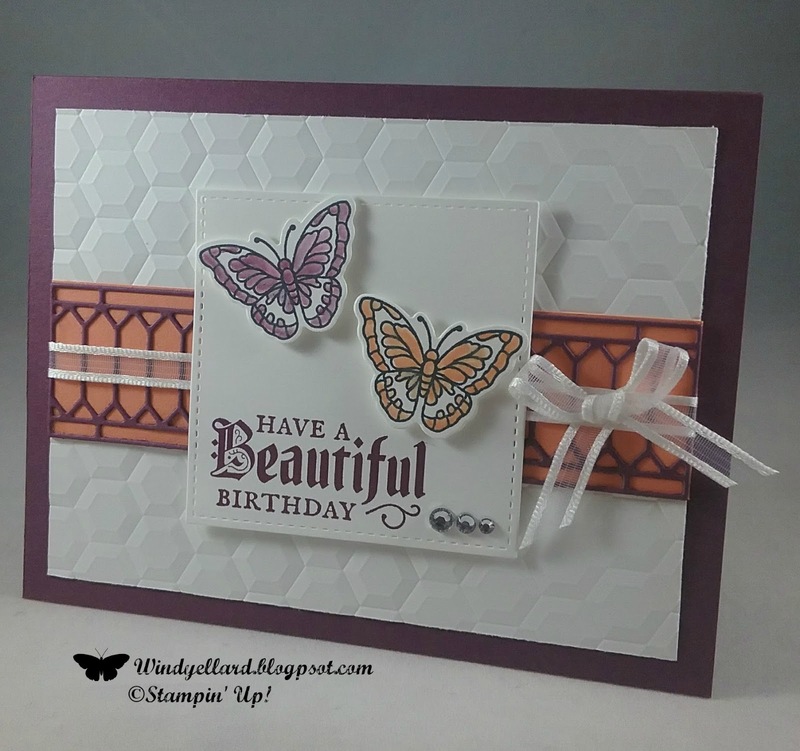 card stock across and then layered the lattice like design in Fig over. I ran 1/4" white organza ribbon and placed a bow. 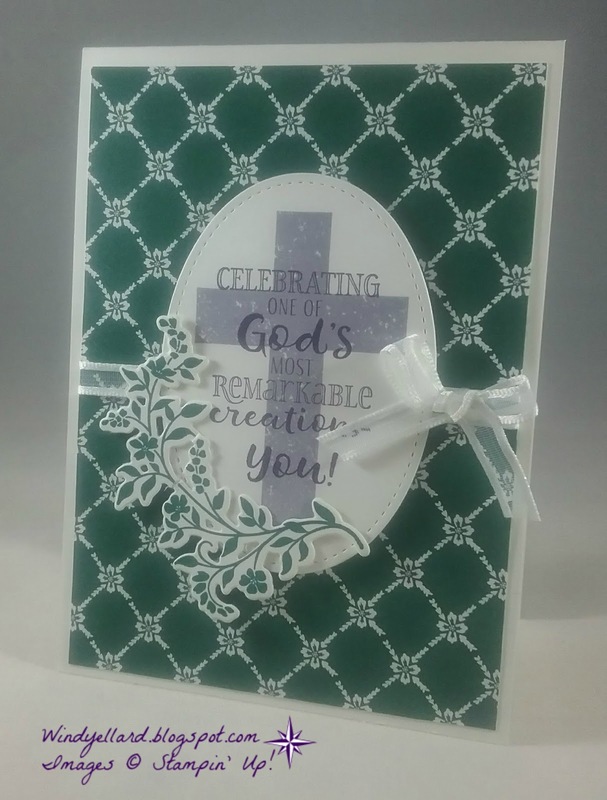 matching dies called Stained Glass thinlits dies. blender pen after stamping them in Memento Tuxedo Black. 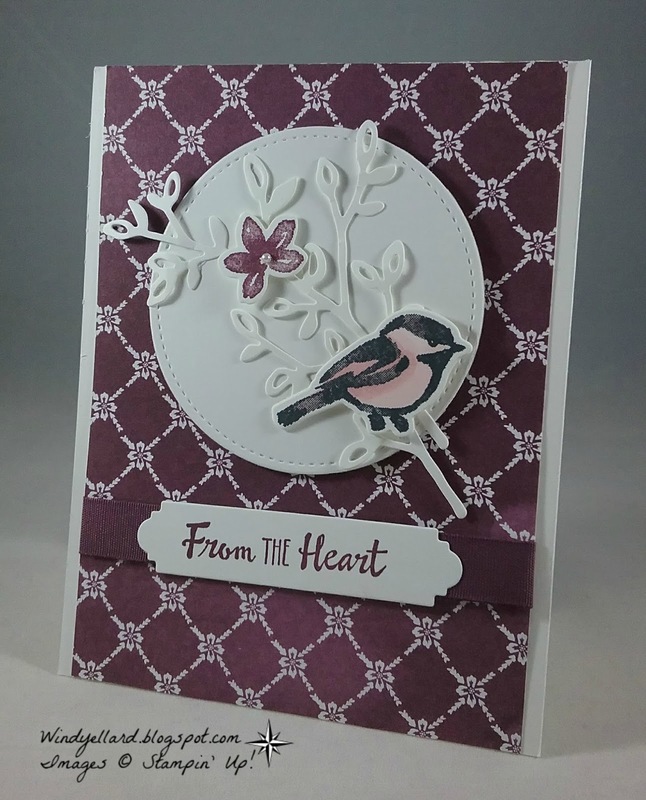 I Stamped the sentiment in Fig and added some bling! before it retires at end May. I love to color the flower! a few weeks back. 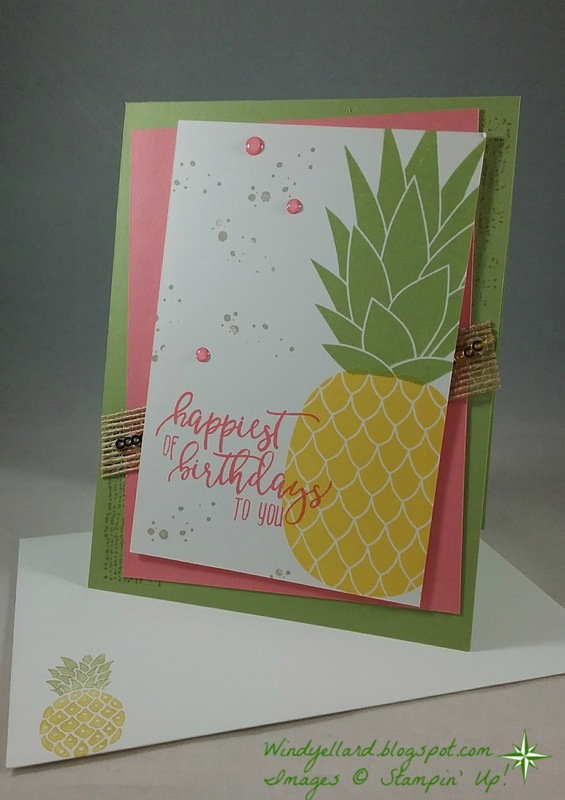 The middle is the new in color called Pineapple Punch. 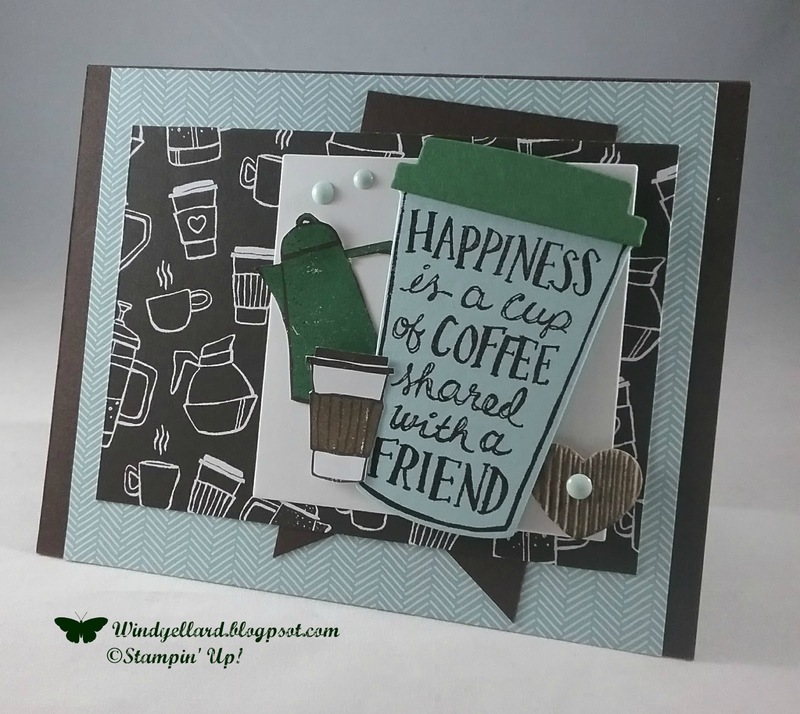 Stampin Blends in other greens soon. 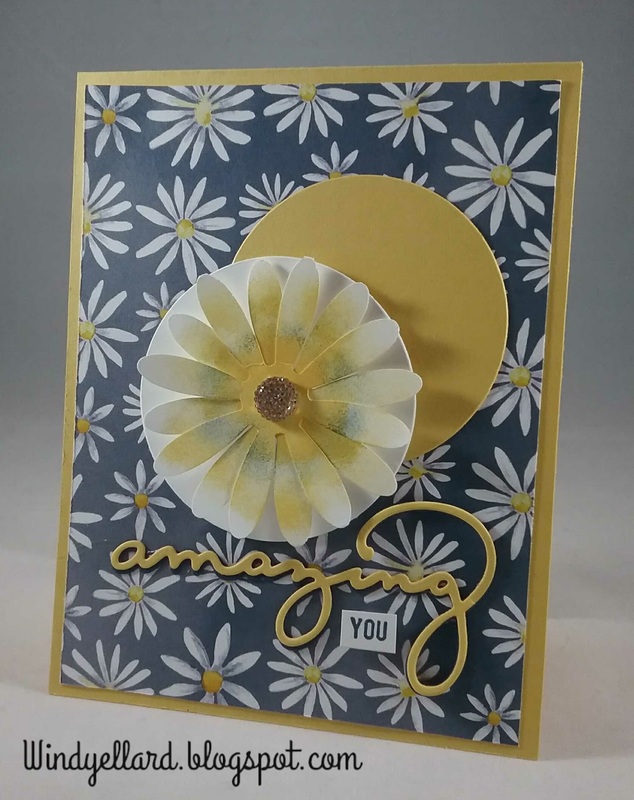 I cut the flower with an oval die. I used the Lovely Lipstick base and a strip for my sentiment. I added some pearls because I could! 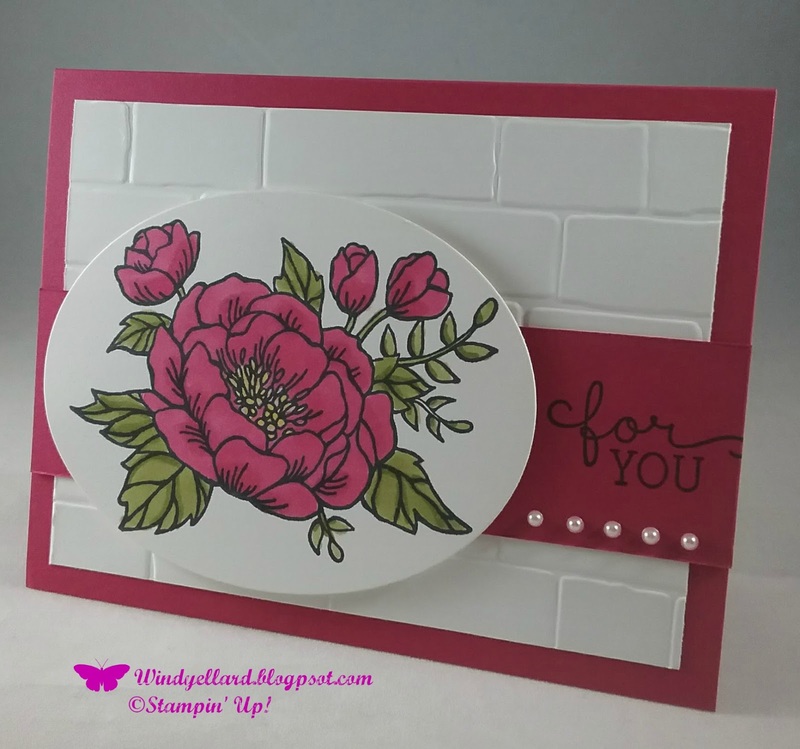 I am also using a retiring embossing folder called Brick Wall. I will probably keep mine because I love it so. 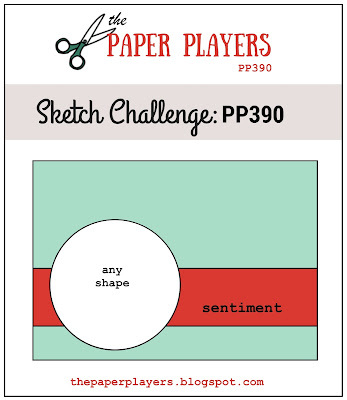 Head over to thepaperplayers.blogspot.com to play along today! Happiness is having friends! 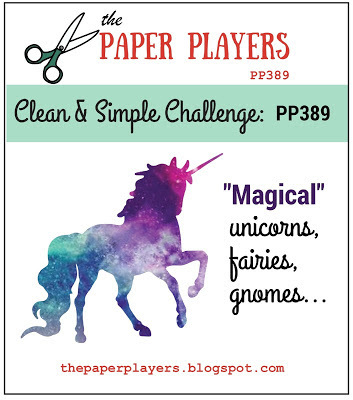 And paper crafting! and the Coffee Break DSP is one I still have a bunch of laying around! 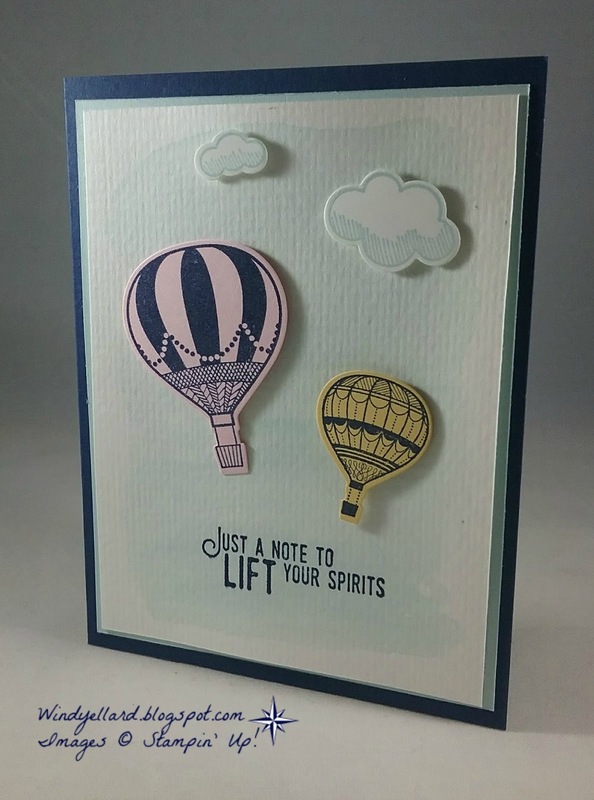 I used several prints for this card starting with the background in Soft Sky. I layered it on a piece of Early Espresso card stock for the base. I added another cool print in Espresso and coffee mugs/pots/cups. I cut a white square and added it to pop my die cuts. 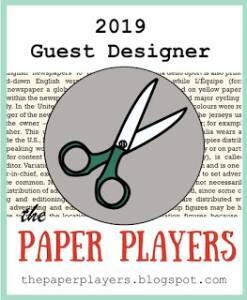 Actually I hand cut the coffee pot and small cup from the designer paper. 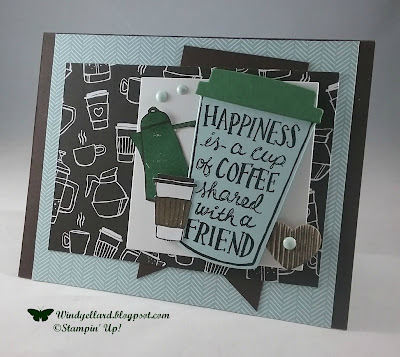 I then stamped the large coffee cup in Early Espresso on Soft Sky card stock. I stamped the sentiment in same ink on cup. I added a Garden Green lid. I added a banner in Espresso behind the images for the sketch. enamel dot. Placing a few more dots finished it off. Thanks for stopping by friend!!! Again, I an trying to use lots of DSP I have been hoarding this year. I love the Whole Lots Of Lovely paper and prints but not used much. I went down the last column with dimension, ink and patterned paper. 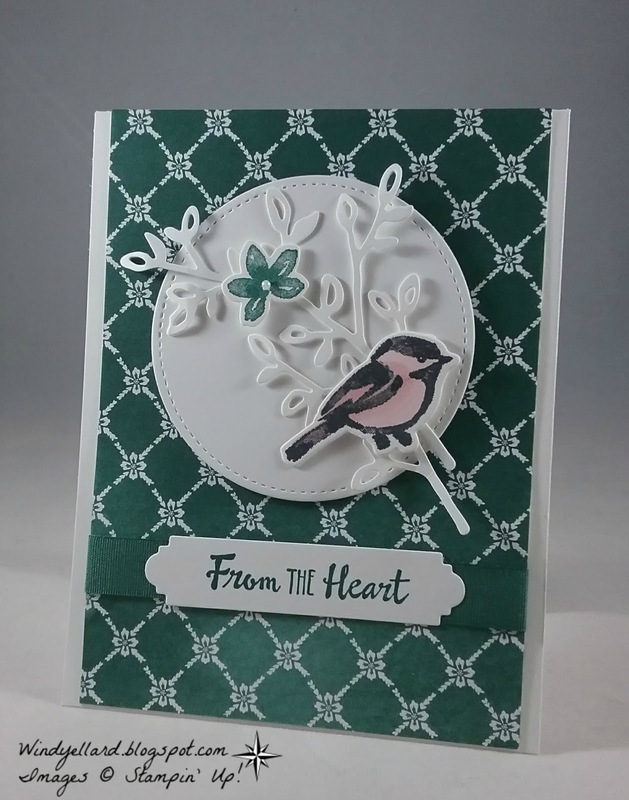 I used the ovals and the leaves plus the flower I cut by hand to give dimension. I think the DSP also has loads of dimension, too. in the sentiment with Coral and Pool Party. 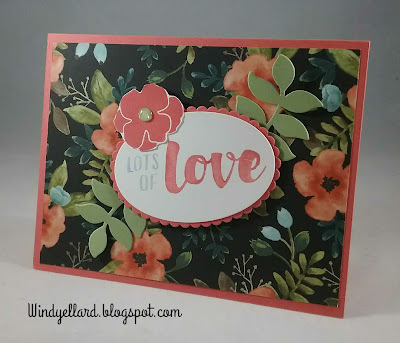 I stamped the flower in Coral and hand snipped it out. 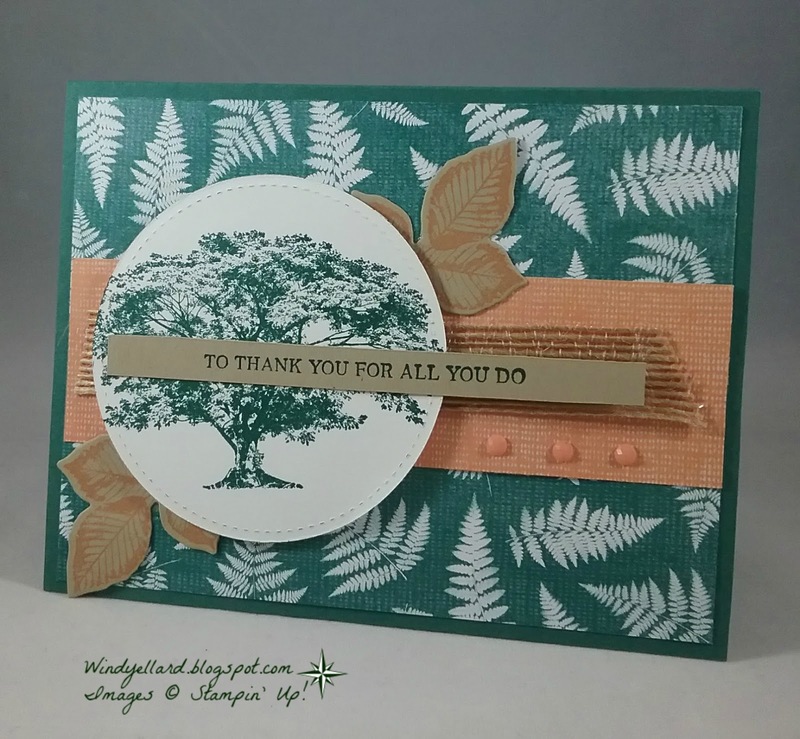 I cut the leaves in Pear Pizzazz with the Eclectic Layers thinlits dies. I finished it off with a glitter dot in green on the flower center. 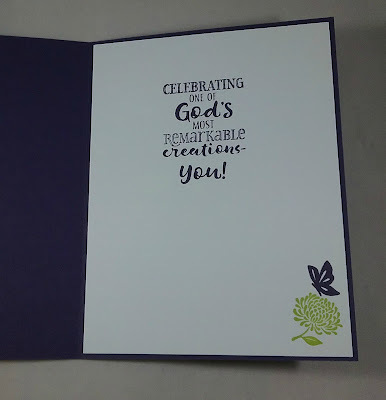 This card is already on its way to my mom! I love this flamingo and glad it is carrying over. I did not stamp him perfectly and I am ok with that. but the flamingo in more fun! 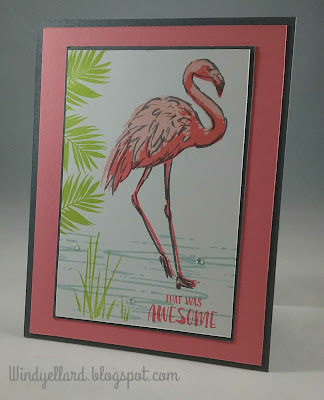 the other two stamps in Flirty Flamingo and Powder Pink to color him. 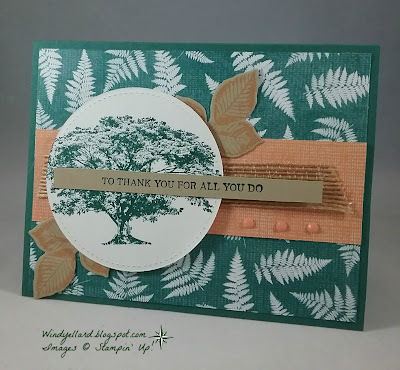 I stamped the water in Soft Sky and the grass and foliage in Lemon Lime Twist. epoxy dots to make the water look wet! placed them on a Basic Gray base. so i am trying to use lots up before it retires at end of May. 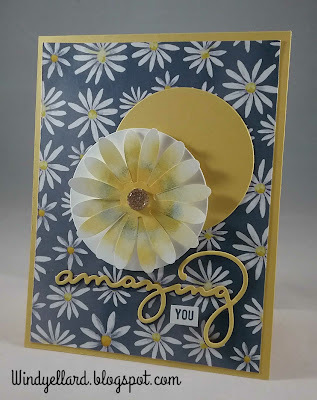 for my background and layered it on a Daffodil Delight card stock base. 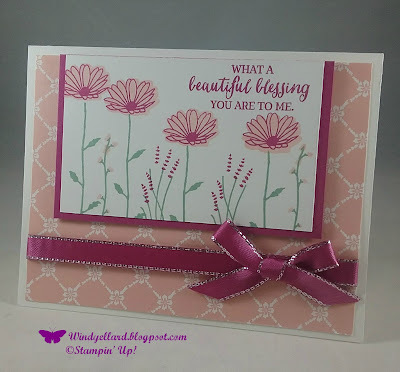 in Whisper White card stock with the Daisy punch and started my sponging. I used Daffodil and Night of Navy lightly around the two flowers layered together. I added the gold faceted gem in the middle for bling. and decided to layered them together for the sentiment. 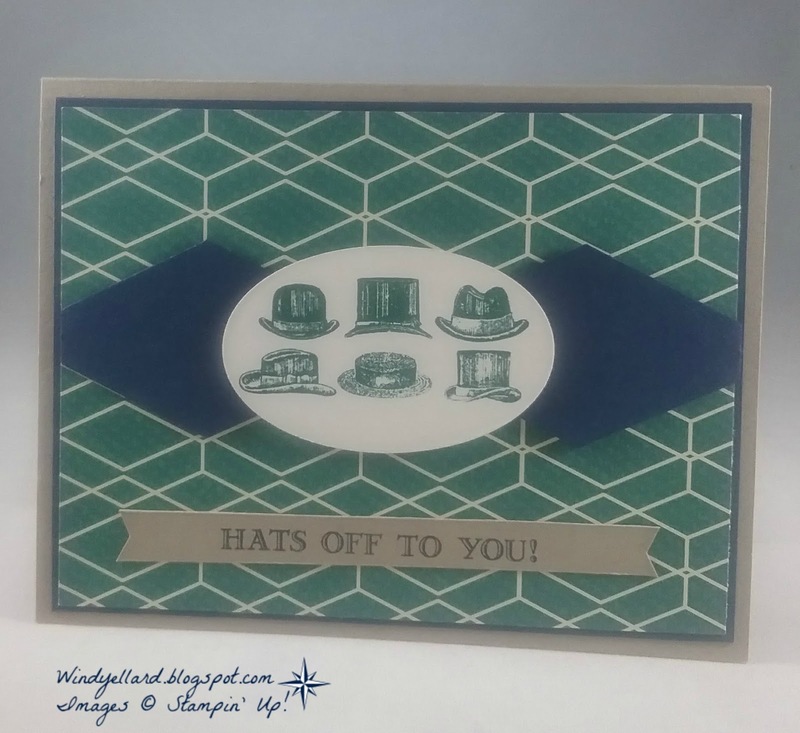 I stamped the You from Thoughtful Banners set in Navy and snipped it out. I love the yellow and navy together! Stampin' Up! 2018-2019 annual catalog..available June 1st. all from the Under The Seas framelits. I layered some Fig behind with a little linen thread. The Tranquil Textures DSP is so rich and beautiful. This piece has a texture of Night of Navy and Fresh Fig on White. I layered more Navy behind before placing on a Sahara Sand base. I used one of the sentiments from the set on white stamped with Fig ink. I hope you have a One of A Kind day! I love unicorns but have no stamps with them. One day maybe! But so happy I do have a mermaid set! It is called Magical Mermaid. I say often " If you can be a mermaid, be a mermaid!" I love coloring her and do not mind fussy cutting her out either. Daffodil Delight, Pool Party and Bermuda Bay. But I think making this under the sea background was more fun! I started with a piece of Sahara Sand cut 4" by 5 1/4". I stamped the shell bits on the bottom three times in Early Espresso. 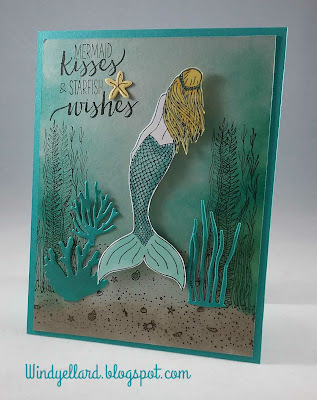 I stamped the seaweed a few times on each side then I started the sponging! and light toward the center. the lines with an Espresso marker. I finished it off by placing my background on a Bermuda Bay base. give as thank yous to volunteers at our Bible Study. I used lots of purple (my fav color) and these two purples are retiring! ran through with the wonderful Basketweave embossing folder. I popped a Whisper White oval on then did some stampin and die cutting. Cross Of Hope framelits dies. the flower in Lemon lime Twist. and hope those receiving them with love them, too! I have not played with this set in forever and have lots of the DSP. cute dots from Birthday Memories DSP. across before popping on my images. I stamped on white the fox and the banner in Memento Tuxedo Black. on the banner in in Pacific Point. I just got the new Roosted In Nature set which has several great trees in it. I inked up this tree in Tranquil Tide and stamped it on a stitched circle. called Grapefruit Grove and use the matching die to cut them out. Love the matching DSP for this suite called Nature's Poem DSP. I placed some on the background and a strip across the card. dots, I used three Grapefruit Groove colored enamel dots. and placing over my tree image. I guess nature in general! 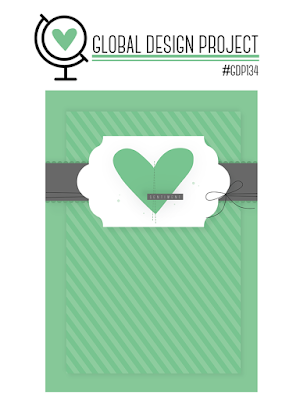 I started with the Whole Lot of Lovely DSP for the green and the leaves. 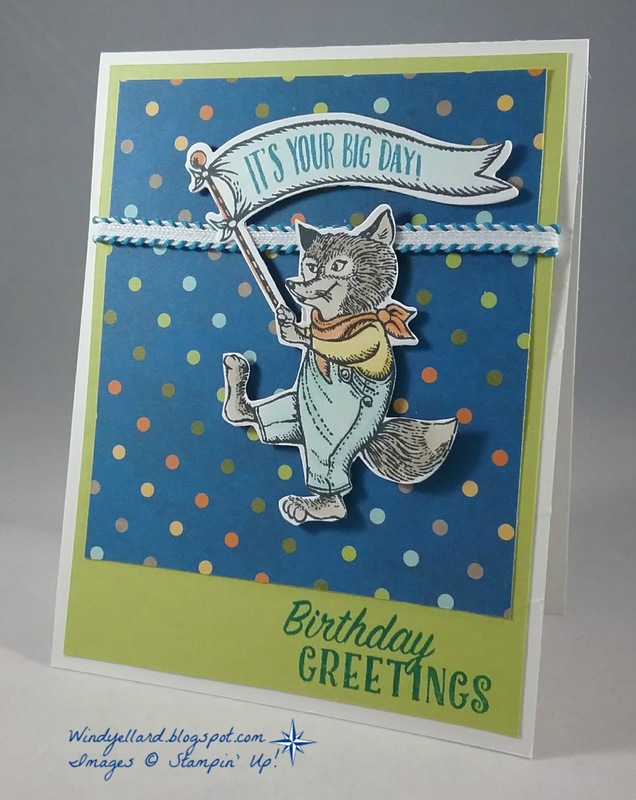 I layered it on some white card stock and then a Pear Pizzazz base. Perfect Plum on it. I layered a Plum dragonfly under it. in Plum and layered the white banner on a Plum banner. I added a Pear enamel dot to finish it off. so it was great timing! 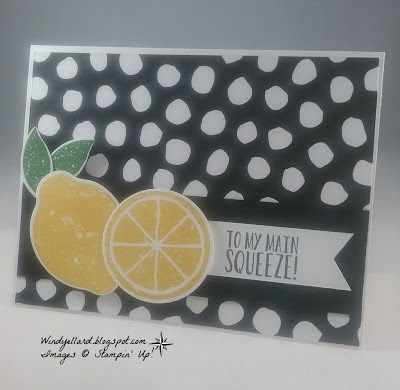 I stamped the lemons in Daffodil Delight. for the whole lemon and leaves. The leaves are stamped in Garden Green. I thought they would pop with some black and white for a background. 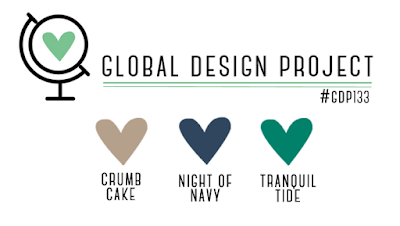 I started with the DSP called True Gentlemen in Tranquil Tide. Ilayered it with some Night of Navy and then a Crumb Cake base. 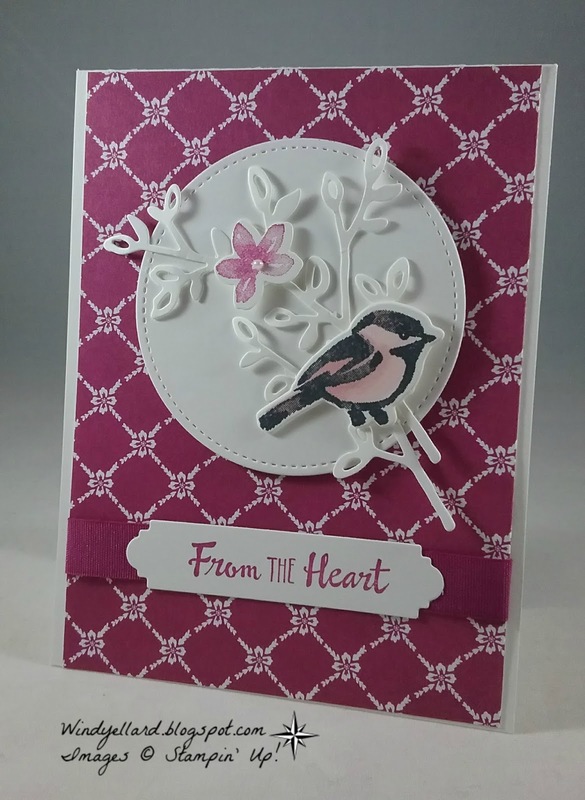 layered them behind my image cut with the oval die. I stamped the hats on the Very Vanilla oval in Tide. in Tide ink on Crumb Cake and used the retired banner punch to cut it. 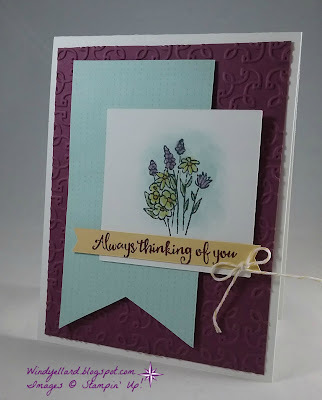 I started with the Fresh Florals DSP in Tranquil Tide for the background. Wisteria Wonder soon. 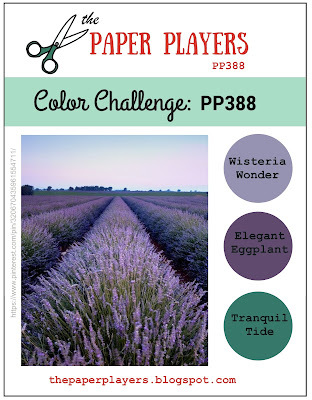 They are retiring but beautiful purples are coming! over it with Eggplant ink. in Tide and cut it with the matching die from Cross Of Hope framelits dies. some pretty white organza ribbon and made a bow. Added my oval and flowers popped up on the front to finish it off. 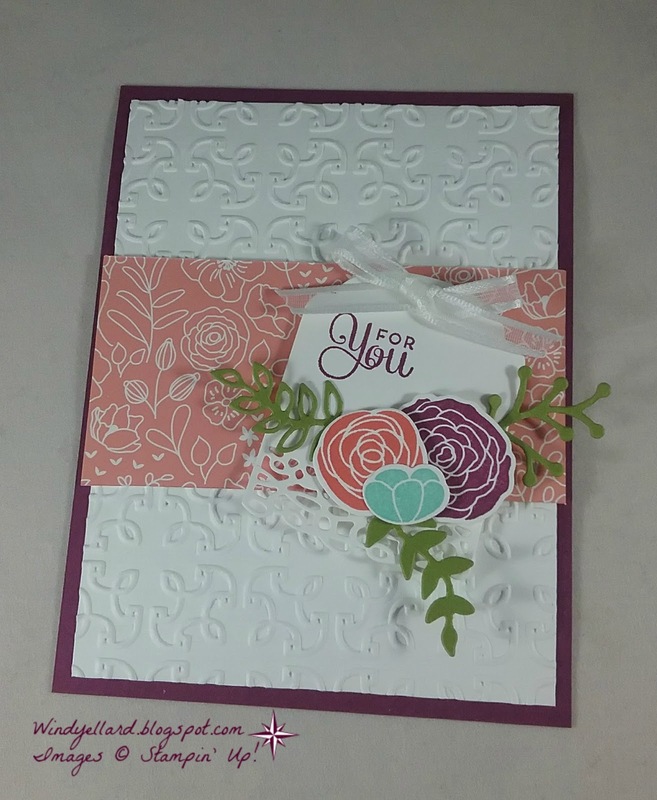 the Big Shot with my Garden Trellis embossing folder. Cozy Cottage set in Memento Tuxedo Black ink. I then water colored the flowers with my water color pencils and my blender pen. After dry I sponged some Soft Sky around the flowers. I used a piece of paper for the banner from the Coffee Break DSP pack. I stamped the sentiment from Beautiful Day in Razzleberry on a piece of So Safrron. I added a piece of So Saffron twine from a past lit in a small bow to finish it off. Waterfront set but the other stamps are from High Tide. for texture plus added some burlap ribbon for the same reason. Hope you have a relaxed day and thanks for stopping by! I love the Berry Burst in color! I think I grab it lots! 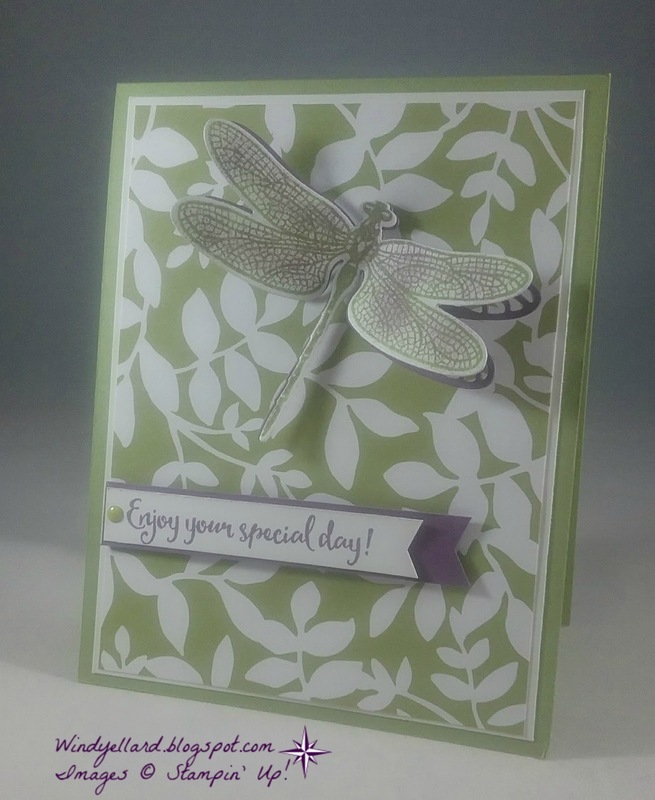 I used the dies from Sweet Cake framelits dies in Old Olive. and so glad it is coming in the new catty in June. and layered it on the Berry Burst base. Now this ribbon is go pretty and I cannot believe I have been hoarding it mostly. The 5/8" crinkled seam binding ribbon has vintage look I love. in Berry Burst and used my layering circle dies to cut. I made 30 of these card fronts for Onstage yesterday for general swapping. 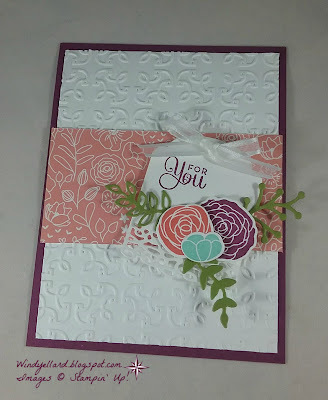 embossing folder and layering on a Rich Razzleberry base. I cut the tag from the matching dies Sweet Cake framelits dies. leaves cut from Old Olive. I finished it off with some 1/4" white organza ribbon bows! I hope you are having a blessed Sunday! I designed this card for the Spring Fling event in Atlanta yesterday! Berry Burst and Tranquil Tide. same even though I changed colors. I made 51 full cards for this swap...loads of die cutting! I colored each bird in Pin Pirouette Stampin Blends. 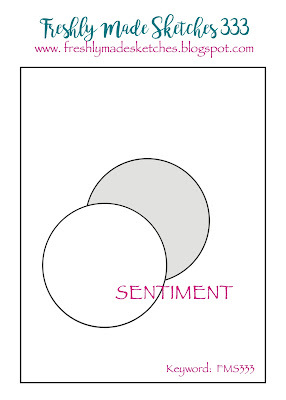 across before popping on the sentiment. I also used a tiny pearl on each flower in the center- hard to see it! Onstage in Atlanta GA today! 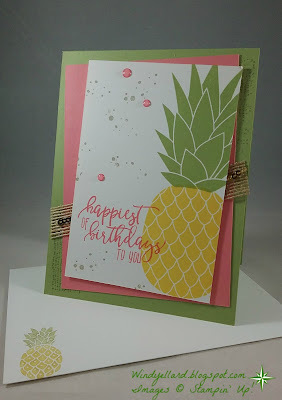 I love to collect pineapple stuff (things with pineapples on them)! Pear Pizzazz and Daffodil Delight. I paired those colors with the Flirty Flamingo. Timeless Textures in Pear Pizzazz plus some enamel shapes. I layered some burlap ribbon behind with a little gold mini sequin strand. Added more texture on the Pear base to finish it off. from the Timeless Textures set. in the same Daffodil and Pear inks. sweet couple getting married this weekend. They asked if I could handle purple? Since purple is my fav color, I said I could handle it! I hope they love it! I do! over it with my aqua painter. It is very faint here but shows better in person. 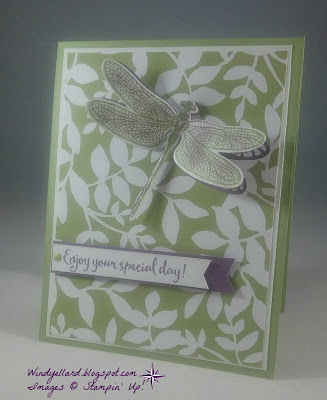 I then used a few pieces from the Sweet Soiree embellishment kit. Elegant Eggplant on the flowers and some Old Olive on the leaves. I cut a cake stand from silver foil and layered them together. 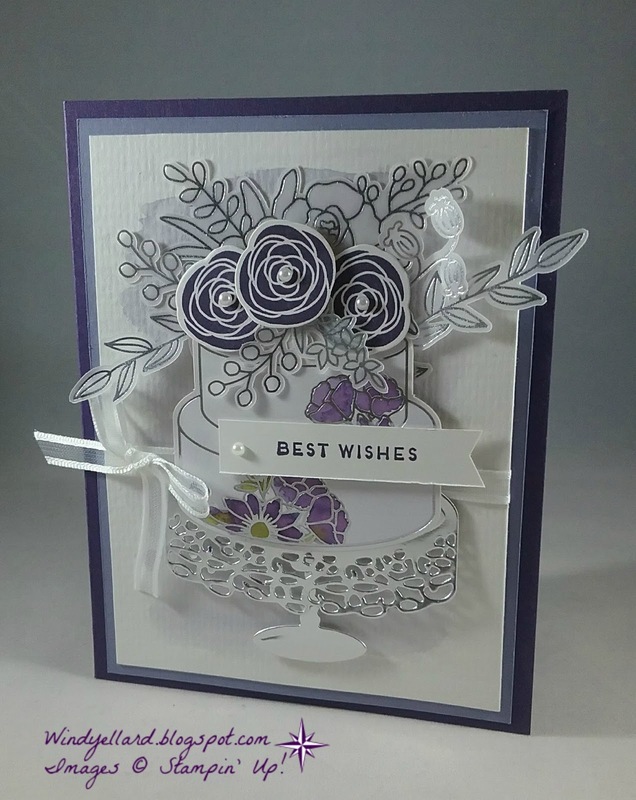 I added lots of vellum flowers plus stems/leaves to the top. 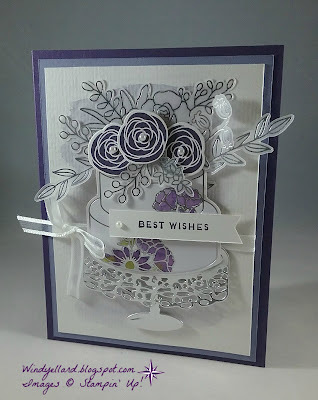 I stamped the flowers in Eggplant and cut them with the matching dies. I finished them off with small pearls. I ran some 1/4" organza ribbon around the paper and made a sweet bow. 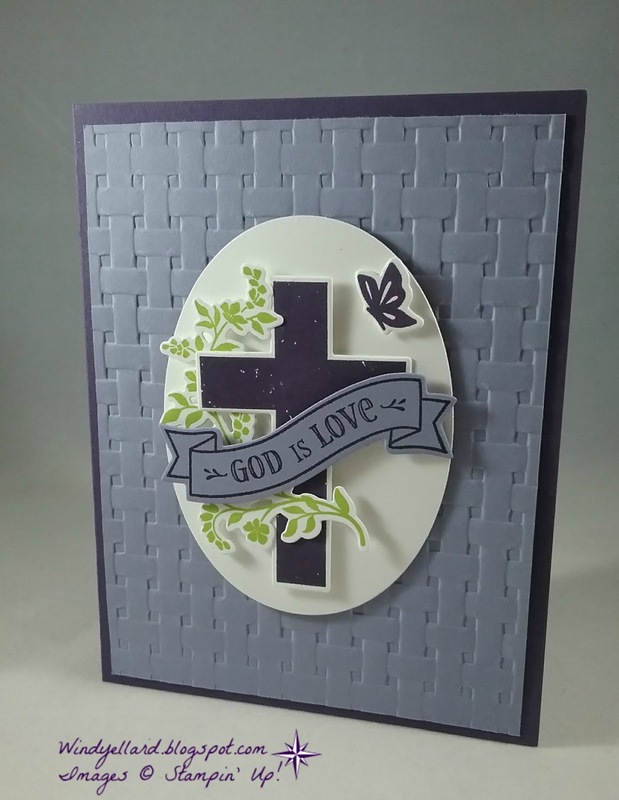 stamp set in Eggplant and cut the banner side and finished it with a pearl. with Soft Sky ink and my aqua painter. It looks darker in person. So Saffron card stocks and cut them out with the matching dies. and used the matching dies to cut. the Night of Navy base. I have not used them in forever. 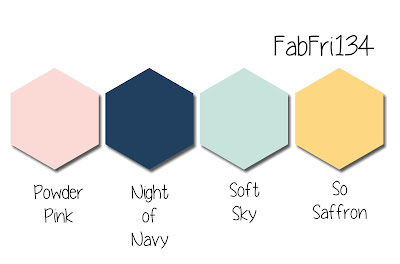 this week and have fun with these colors, too!